Alakim to perform live in Koronadal and General Santos City! 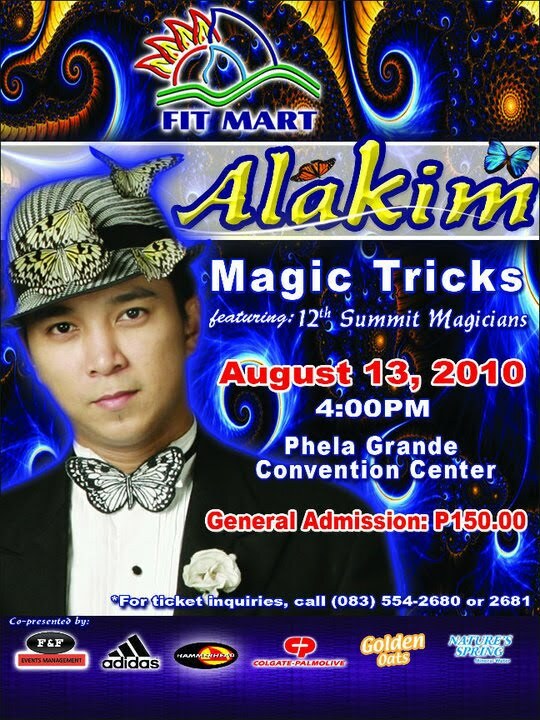 Allan de Paz, popularly known as ALAKIM is going to invade SOCCSKSARGEN! Together with the 12th Summit Magicians he will be performing his amazing butterfly magic acts, card manipulations, and more world class productions.